Larkin Conner Barkley lives like the City of Angels is hers for the taking. Young and staggeringly rich, she speeds through the city during its loneliest hours, blowing through red after red in her Aston Martin as if running for her life. 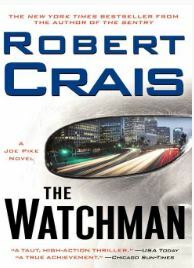 Then suddenly she sees another car’s metal-on-metal explosion of a terrible accident and, dazed, finds herself the single witness in a secret federal investigation. For maybe the first time in her life, Larkin wants to do the right thing. But in doing so she becomes the target for a relentless team of killers. And when the US Marshals and the finest security money can buy can’t protect her, Larkin’s wealthy family turns to the one man money can’t buy―Joe Pike. Pike lives a world away from the palaces of Beverly Hills. He’s an ex-cop, ex-Marine, ex-mercenary who owes a bad man a favor, and that favor is to keep the uncontrollable Larkin alive. Pike commits to protecting the girl, but it becomes clear someone in their circle is selling them out. Taking matters into his own hands, Joe drops off the gird with Larkin and follows his own survival rules: strike fast, hit hard, hunt down the hunters. With the help of private investigator Elvis Cole, Pike uncovers a web of lies and betrayals, and the stunning revelation that even the cops are not who they seem. As the body count rises, Pike’s biggest threat might come from the girl herself, a lost soul in the City of Angels, determined to destroy herself unless Joe Pike can teach her the value of life…and love. After being commissioned into the U.S. Air Force, MJ Hegar was selected for pilot training by the Air National Guard, finished at the top of her class, then served three tours in Afghanistan, flying combat search-and-rescue missions, culminating in a harrowing rescue attempt that would earn MJ the Purple Heart as well as the Distinguished Flying Cross with Valor Device. But it was on American soil that Hegar would embark on her greatest challenge—to eliminate the military’s Ground Combat Exclusion Policy, which kept female armed service members from officially serving in combat roles despite their long-standing record of doing so with honor. 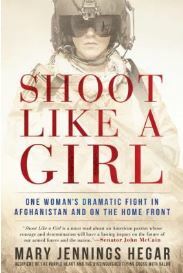 In Shoot Like a Girl, MJ takes the reader on a dramatic journey through her military career: an inspiring, humorous, and thrilling true story of a brave, high-spirited, and unforgettable woman who has spent much of her life ready to sacrifice everything for her country, her fellow man, and her sense of justice.